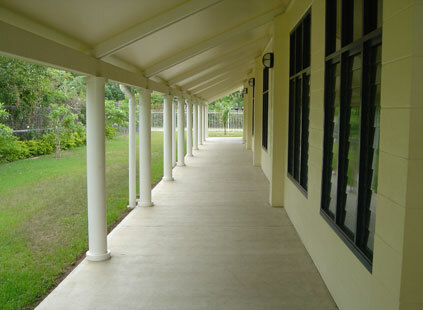 Church building designs in Europe, Australia, Pacific, Asia, and the United States use overhangs and verandas to reduce heat load. 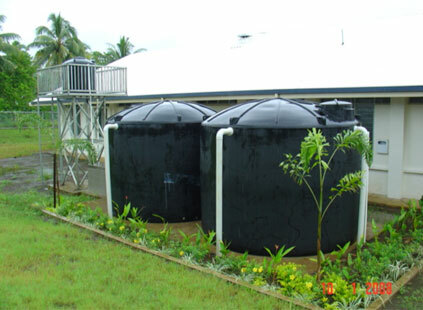 Rain water collection and storage in the Pacific Area is used for non-potable needs and irrigation. 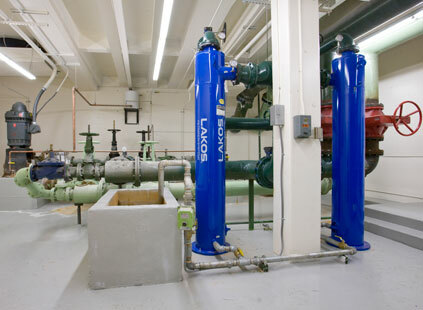 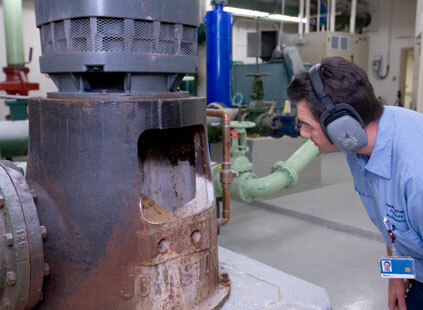 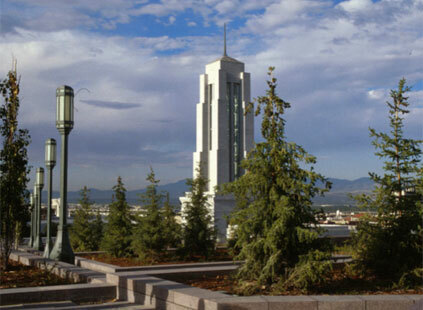 The Church Office Building in Salt Lake City employs an ingenious cooling and heating system by using several underground spring wells which is 30 percent more efficient than conventional systems. 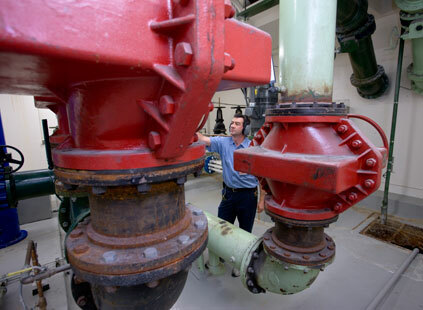 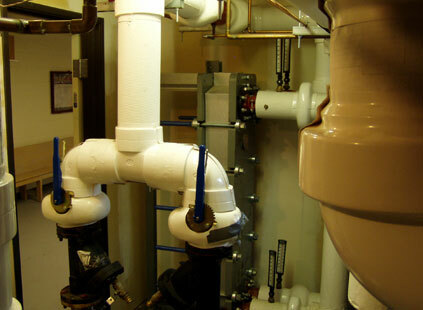 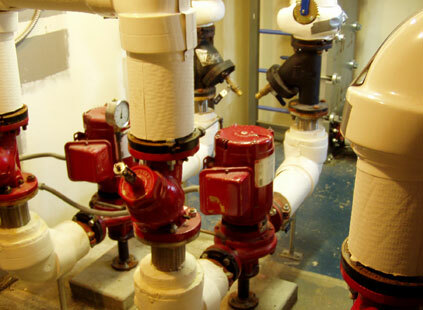 Red valves switch the supply from one well to another. 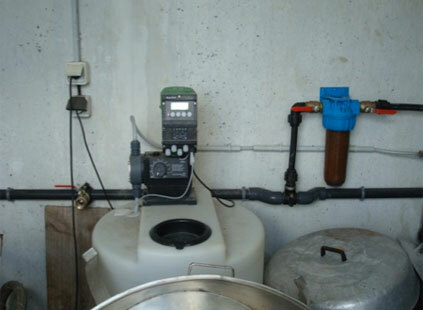 The blue tank removes the sand in the water. 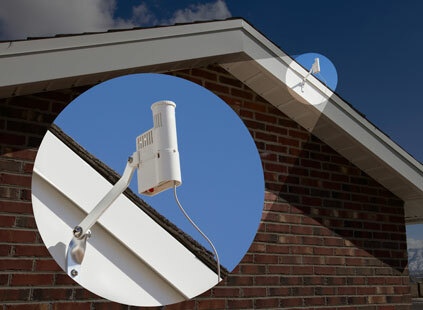 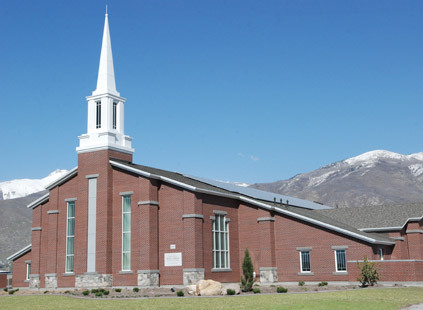 Carbon emissions are reduced by limiting travel to meetings through the use of satellite systems at church buildings worldwide. 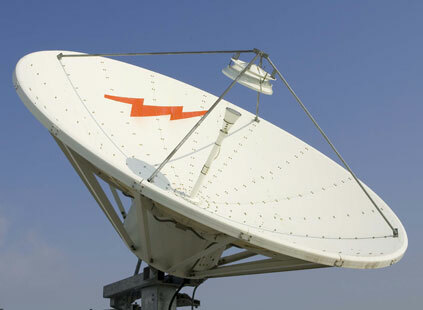 Up to 100,000 gallons of fuel is estimated to be saved per broadcast event. 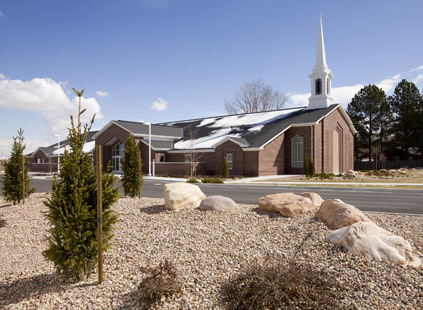 In Susanville, California a meetinghouse is heated 100 percent with geothermal energy. 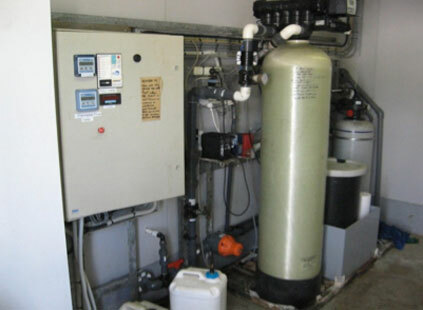 Geothermal energy is generated from a well located on the Susanville, California property. 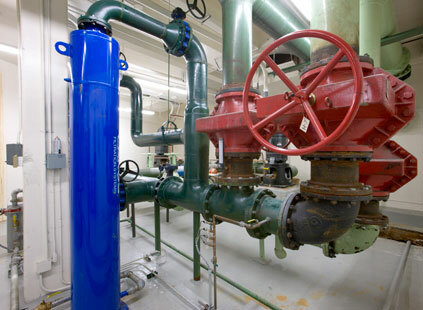 The geothermal plant saves nearly $11,000 or 109 megawatt-hours in energy annually. 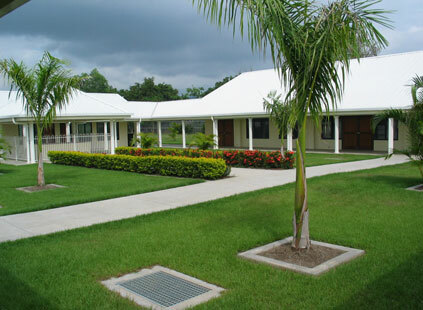 Meetinghouses in Africa, West and South America, Mexico and Pacific Islands take advantage of natural ventilation through passive cooling design. 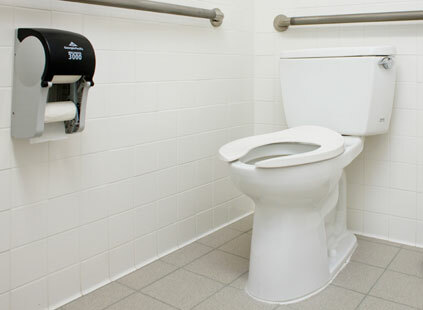 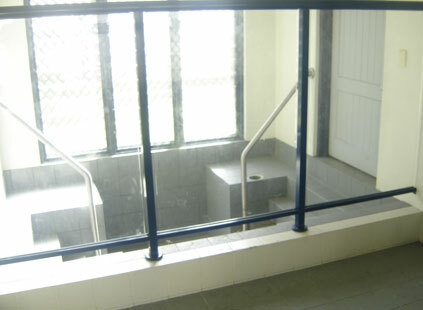 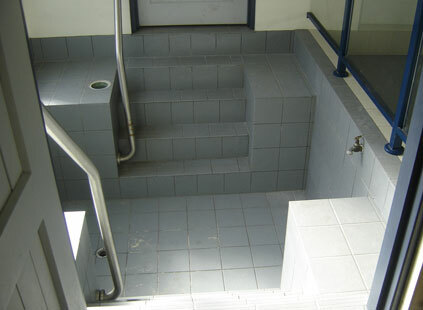 Low flow toilets are installed in new meeting houses. 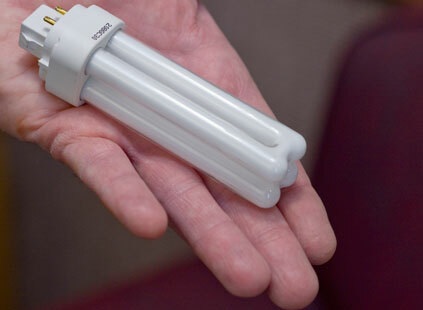 They use 1/3 less water than conventional fixtures. 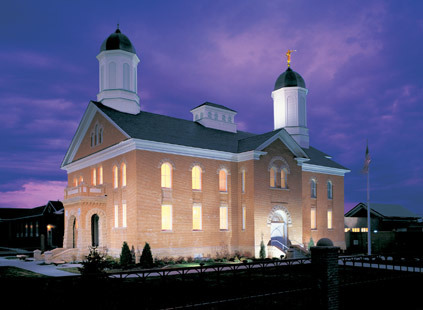 The tabernacle in Vernal is rebuilt into the Vernal Temple by reusing materials from the historic structure. 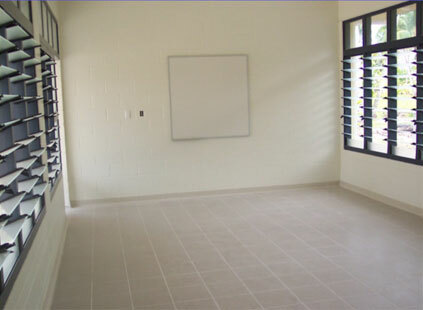 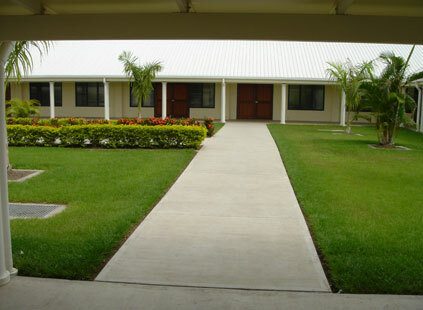 LEED points are awarded for the use of existing materials. 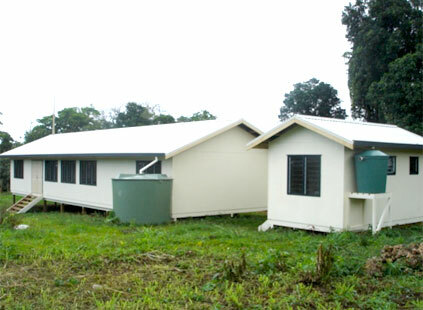 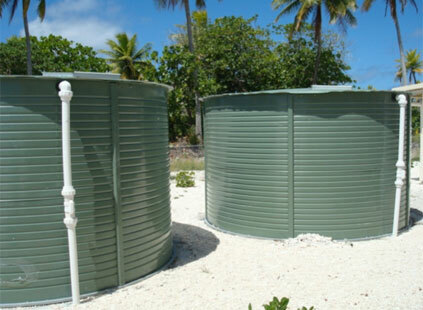 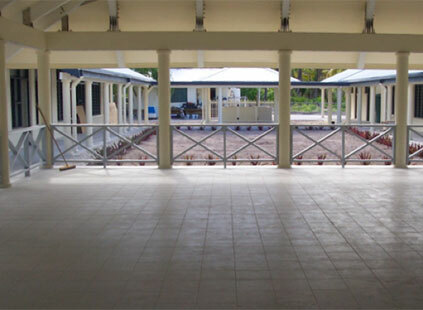 Water treatment plants are constructed at several chapels to protect against contamination seeping into the limited Tarawa, Kiribati ground water supply. 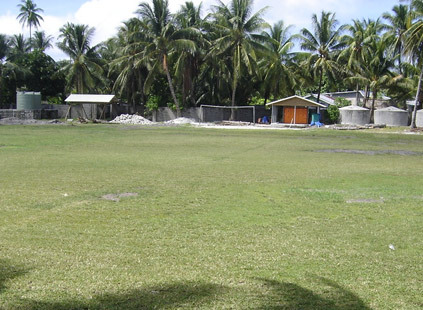 The island's only grassy field is irrigated with recycled water. 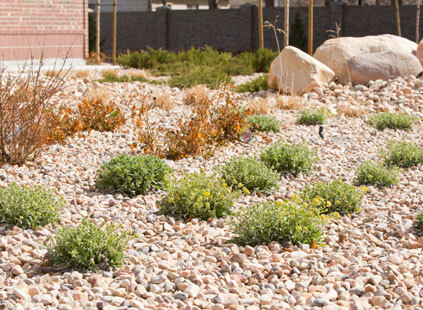 An alpine meadow on the rooftop of the Conference Center in Salt Lake City is not only an aesthetically pleasing garden oasis, but also utilizes a water recycled river system. 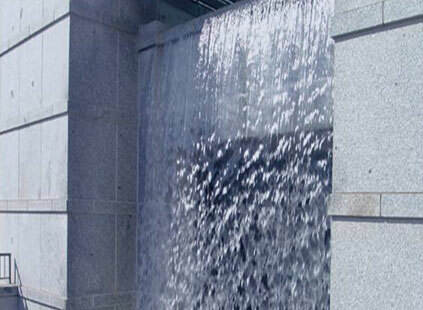 Waterfall at the Conference Center utilizes recycled water. 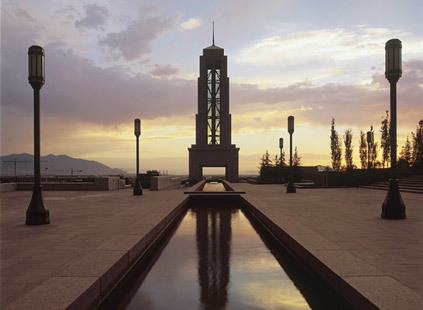 Recycled water is used for this water feature on the Conference Center roof. 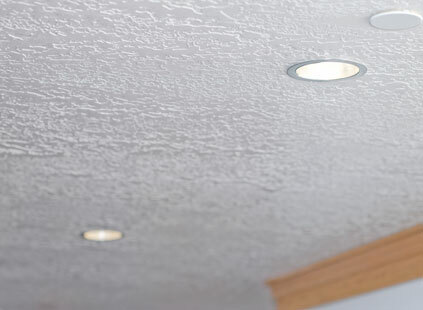 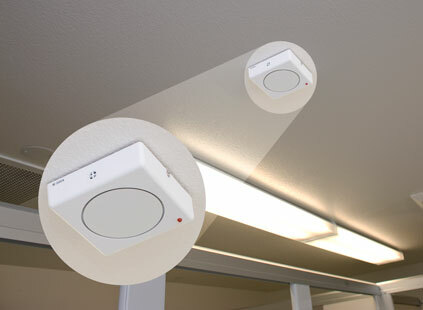 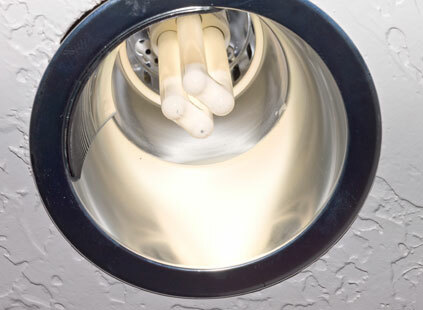 High efficiency lighting is implemented in meeting houses to lower energy usage. 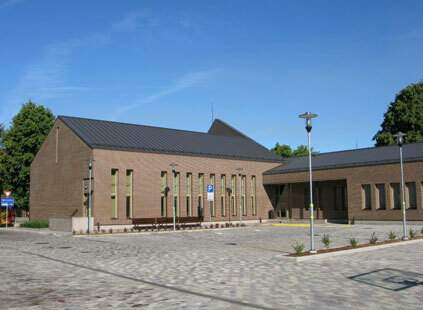 Church buildings in Liepaja, Latvia are built with radiant heated floors for an energy savings of 30 percent Compared to conventional heating. 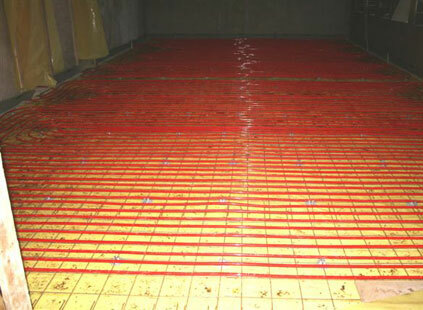 The Liepaja meetinghouse chapel after radiant heated floors are installed. 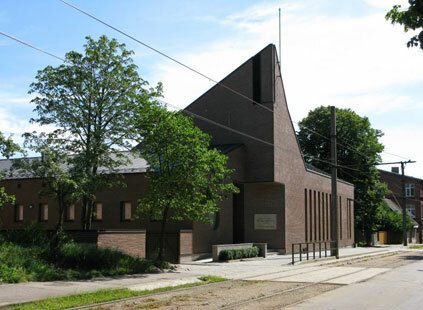 The front entrance of the Liepaja meetinghouse. 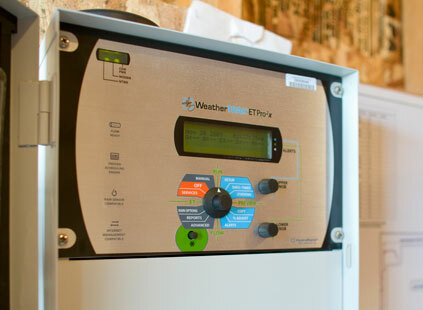 SMART controllers used to reduce water usage up to 50 percent by automatically adjusting irrigation run times. 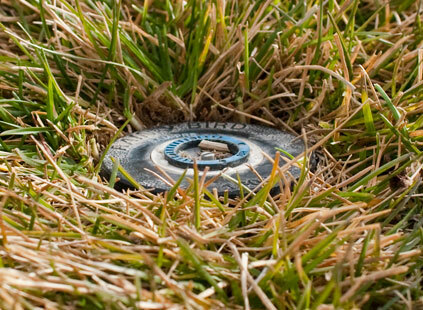 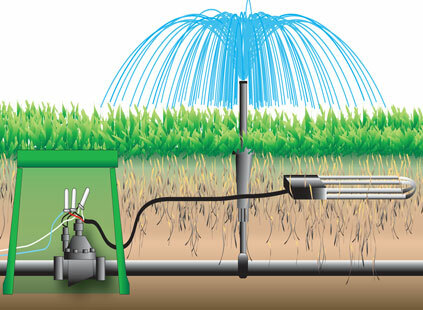 The roots of plants and sod are monitored to determine when water is needed. 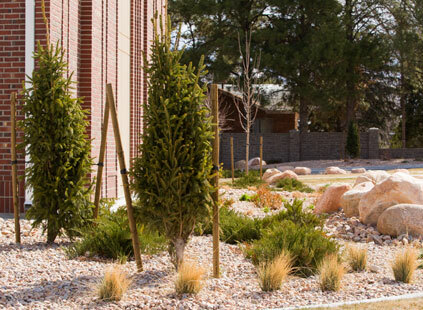 Xeriscape landscaping employs the use of drought tolerant plants, decorative rocks and bark to reduce water use by 50 percent with meetinghouse landscaping. 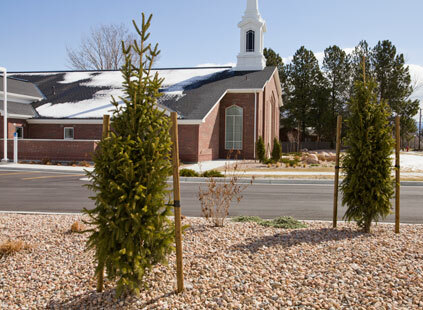 Rocks, wild grass and evergreen trees make up this meetinghouse's landscape. 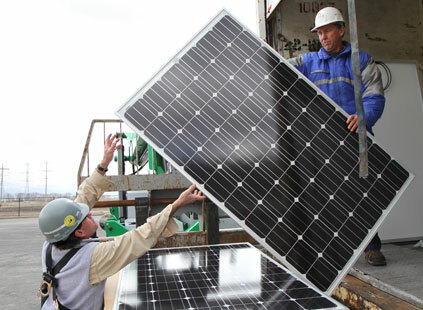 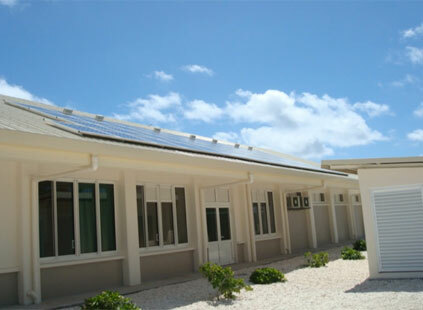 Solar power installed at a new meetinghouse on Tuamotu, Tahiti provides power in conjunction with onsite generation. 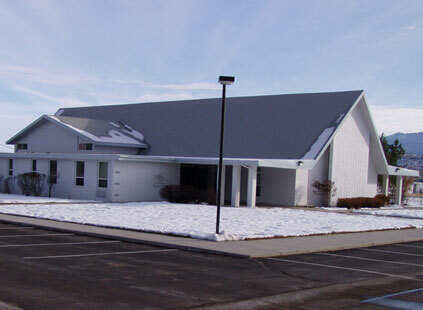 The new Church History Library is built with windows that block out ultraviolet rays and heat. 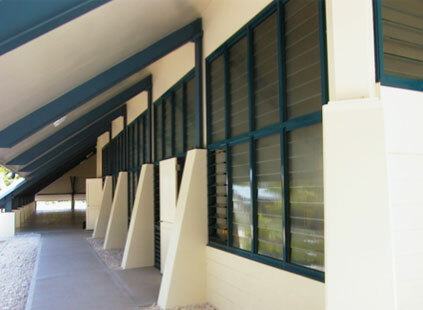 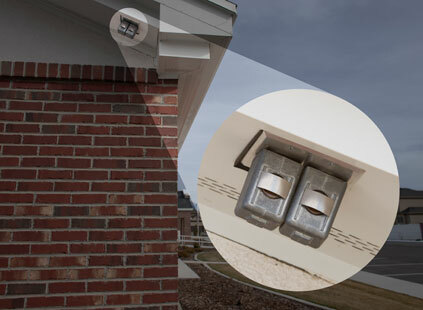 An automated shade system can be programmed to lower during peak sunlight to keep the interior cooler. 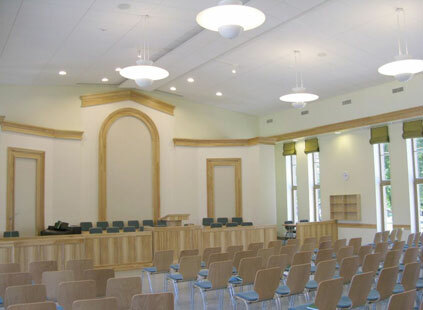 In keeping with the Church’s commitment to stewardship and conservation, five meeting houses are built as part of a pilot program to meet LEED (Leadership in Energy and Environmental Design) certified specifications, the construction industry’s highest standard.